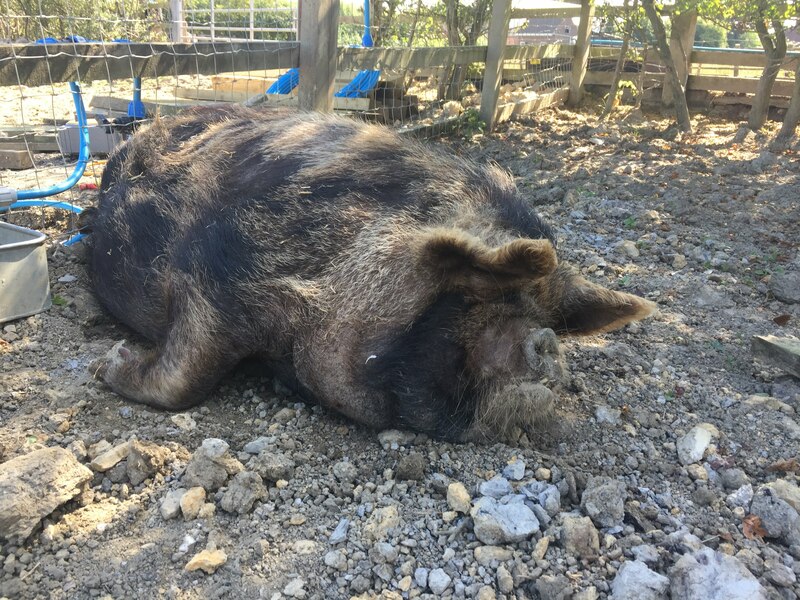 Posted by Jon in News, Pigs on Friday 24/08/2018 10:46 UTC. 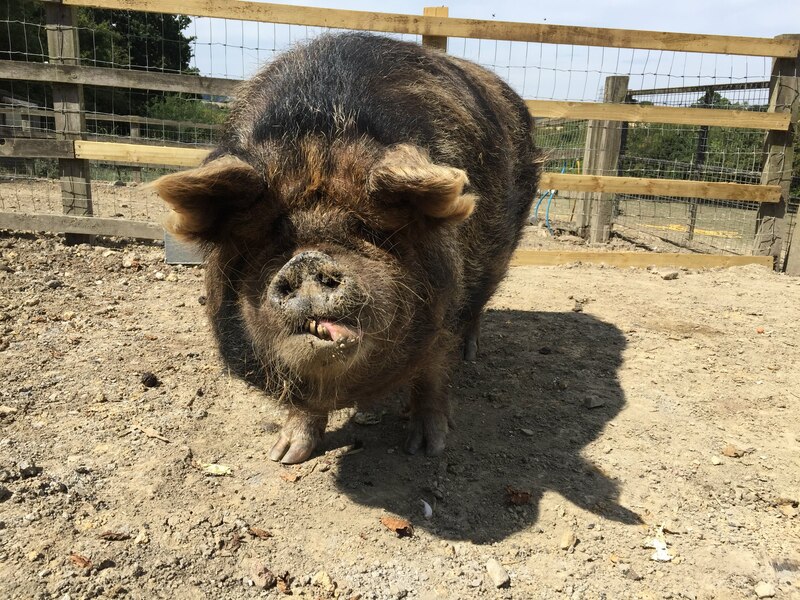 Recently we took a call to take in this amazingly affectionate Kune Kune pig, who we now call Kiwi, when her partner had to be ethanised. Initially we had to say no, as we have to all too often, we can only take animals in when people rehomed the one we have and create space. Kiwi’s owner was going to euthanise her if a home could not be found. Fotunately in the nick of time we found space. 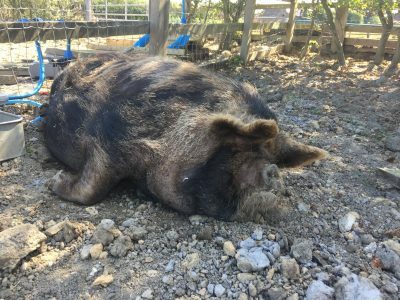 Kiwi is an amazing eight year old girl, she comes to us as soon as she hears us approach and just adhours human attention. We now need to find a partner for Kiwi and a life-long home, she will make a lovely pet, she is very gentle, slow, very talkative and for anyone who has the right accommodation, will make a very rewarding pet.